- Leafy Berkshire – Research on the Beatles / Hunter Davies project begins to draw to a close. -Leafy Berkshire – Extensive Beatles Encyc / Book research rolls on. (23) UK – In the Amazon Bestsellers Rank, Kindle store, Marilyn was seen at the #75 position in the “Books > Biography & True Accounts > Arts & Literature” section of the site. (22) Canada – Incredible! Almost four weeks on Yes, still there, at #s 1 (hardback) and 2 (paperback) in the “Most Gifted in Monroe, Marilyn” section on Amazon Canada. (20/21) Leafy Berkshire –Two extremely busy days, working flat-out on both the Beatles and David Essex projects. -Yep, still there, amazingly, at #1 and 2 in the “Most Gifted in Monroe, Marilyn” section on Amazon Canada. It’s been in that position now for over 3 weeks!! (“Thank you, Canadians. We love you!”) Stock was back in of the paperback version, but as of today, just five remained. (19) Berkshire – Out to Reading in Berkshire for some business. (18) Leafy Berkshire – And it’s back to the Fab Four for more highly-extensive research. (17) Leafy Berkshire – Resumption of pre-production work on the new David Essex movie. (16) Leafy Berkshire – Another day of extensive Beatles research for the Hunter Davies, ultimate book on the group, which is still set for release in mid-2016. -Canada - Well, it’s still there; at #1 and 2 in the “Most Gifted in Monroe, Marilyn” section on Amazon Canada. Furthermore, hardback copies of the book were “temporarily out of stock” on the site. Yikes! Meanwhile, in the paid Kindle part, Marilyn was to be found at the #21 in the “Biographies & Memoirs > People, A-Z > ( M ) > Monroe, Marilyn” chart. -Leafy Berkshire - Busy day today on The Fabs and the new David Essex movie! (14) Germany / Canada – And another new entry on this site. Keith’s Marilyn, Kindle versions, were spotted at Nr. 27 in the “Fremdsprachige eBooks > Englische eBooks > Biografien & Erinnerungen > Kunst & Literatur > Entertainer,” Nr. 38 in the “Fremdsprachige eBooks > Englische eBooks > Biografien & Erinnerungen > Spezifische Gruppen > Frauen” and the hardback version was at Nr. 75 in the “Fremdsprachige Bücher > Biografien & Erinnerungen > Spezifische Gruppen > Frauen” section of Amazon in Germany. “Amazing, aye?” Meanwhile, over at Amazon Canada, besides being at #6 in the “Best Sellers in Monroe, Marilyn” (hardback edition), yep, you’ve guessed it, the paperback version was still to be seen in the #1 position in the “Biographies & Memoirs > People, A-Z > ( M ) > Monroe, Marilyn” section of the site. Staggering! (13) IMDB – A new listing! Keith was spotted at No.11 in the “Most Popular People from Slough” category on the world famous, highly-respected, Internet Movie Data Base. (12) Canada – Well I never. It rolls on and on… In Amazon Canada Bestsellers Rank, Keith’s Marilyn (hardback edition) could be found at #2 in “Biographies & Memoirs > People, A-Z > ( M ) > Monroe, Marilyn.” #7 in “Humour & Entertainment > Movies > Biographies”, #14 in “Humour & Entertainment > Movies > History & Criticism”, #24 (paperback version) in the “Biographies & Memoirs > People, A-Z > ( M ) > Monroe, Marilyn” and not to mention, STILL at #1 in the number one position in the “Most Gifted in Monroe, Marilyn” section of the site. Staggering! - Another busy day, split between extensive work on both The Beatles and David Essex projects. (10) Canada – Incredible! Still there, in the number one position in the “Most Gifted in Monroe, Marilyn” section of Amazon Canada. 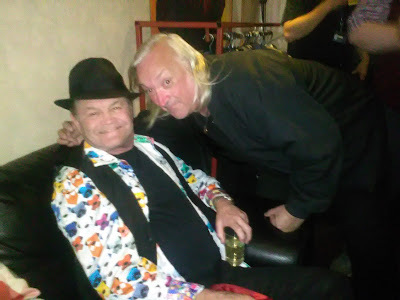 (9) Keithbadman.com/ - Keith’s website was updated today when shots of ‘The Bootleg Monkees’ in 2014 were uploaded by webmistress, Anne-Marie onto the site today. - Busy day on both The Beatles and David Essex projects. (8) Leafy Berkshire – Pre-production (archive research) work resumed on…The David Essex Story. - Canada – Meanwhile, on Amazon Canada, yep, still there… for almost 18 straight days, Marilyn could be found in the number one position in the “Most Gifted in Monroe, Marilyn” section of Amazon Canada. (5 – 6) Leafy Berkshire – With the deadline fast approaching, Keith spent the day busily wrapping-up and fine-tuning his piece on The Beatles’ BBC radio appearances (1962-1965). - Canada - Amazing! Keith’s Marilyn was to be found at #23 in the Kindle Store “Biographies & Memoirs > People, A-Z > ( M ) > Monroe, Marilyn” and at #29 (paperback edition) in the “Biographies & Memoirs > People, A-Z > ( M ) > Monroe, Marilyn” sections of the site. And not forgetting, at #1 (yes still there, for 16 straight days) in the “Most Gifted in Monroe, Marilyn” area of Amazon Canada (paperback version). Stocks had been delivered, but on this day, just five were in stock. - Still there! For two straight weeks, Marilyn (paperback) was still to be found at the #1 position in the “Most Gifted in Monroe, Marilyn” section of the site, despite the fact that delivery time was between 1 and 2 months! While in the Kindle charts, the book was placed at #18 in the “Biographies & Memoirs > People, A-Z > ( M ) > Monroe, Marilyn” section of the site. - New York, USA – The acid-tongued, American comedienne, Joan Rivers sadly passed away, aged 81. In September 1999, during promotions for his book, The Beatles After The Break-Up, Keith ran into her at the old BBC Broadcasting House Studios in London. She was lost, he gladly pointed her in the right direction and they briefly spoke. She was very polite. “There I was, speaking about the careers of the solo Beatles,” Keith recalled, “when suddenly I looked up, and there was Joan staring at me thru the glass in the studio door, lost and confused.” Rest in peace, Joan. (3) England – The movie finally became official when director, Alan G. Parker officially announced the David Essex flick on the Classic Rock website. -Leafy Berkshire - Keith carried-out extensive reach on The Beatles’ BBC Radio sessions. Deadline now just weeks away! (1 – 2) Canada – The run continued with Keith’s Marilyn (paperback edition) still at the top spot in the “Most Gifted in Monroe, Marilyn” section of the site. Wonderful!! While on the 2nd, the Kindle version was to be found at the #6 position in the “Best Sellers in Monroe, Marilyn” section of the site. -Leafy Berkshire - Keith resumed research on his 2016 Beatles project and continued pre-production on the forthcoming David Essex production.